The recent call  by noted economist KS Jomo to slash the development expenditure (DE) allocated to the Prime Minister’s department and to scrutinize big infrastructure projects such as the East Coast Rail Line (ECRL) is a timely reminder of an issue that has been previously raised by opposition members of parliament. 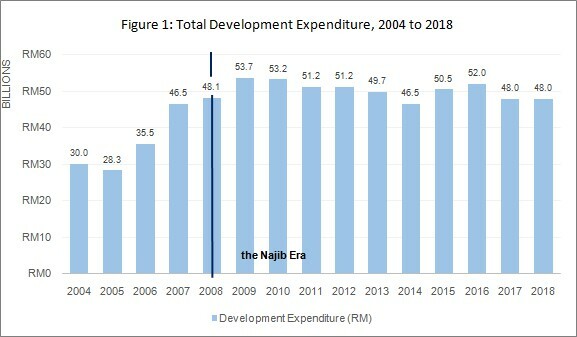 But what has been lacking thus far is a more systematic analysis of the details of the development expenditure, especially under Prime Minister Najib’s tenure as Finance Minister, and specifically, the DE allocated to the Prime Minister’s Department. 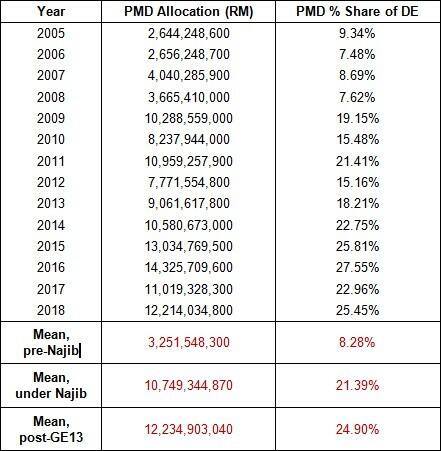 To conclude, this report has shown that both the absolute total, and % allocation, to the DE in the federal budget has decreased during the Najib era. 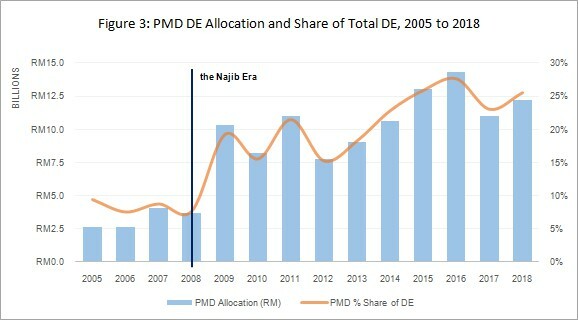 At the same time, the overall allocation to the PMD has increased significantly, by roughly threefold, during this period. 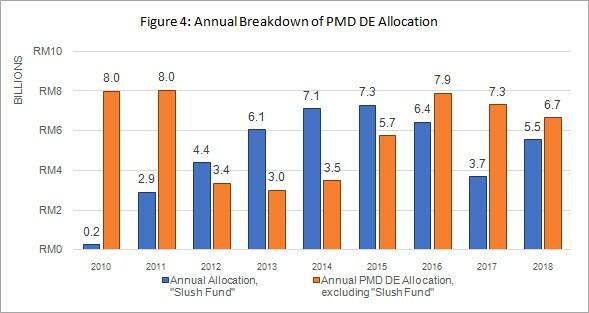 Moreover, the DE allocation in the PMD to “slush fund” projects has increased significantly to an average of half of the PMD’s DE. This increase has ‘crowded out’ and reduced the DE allocated to the MOE, MOHE and MOH, resulting in fewer schools, fewer institutions of higher learning such as community colleges and universities and fewer hospitals being built under the Najib era. It is clear from this analysis that the pattern of federal budget allocations must be re-considered and re-prioritized. 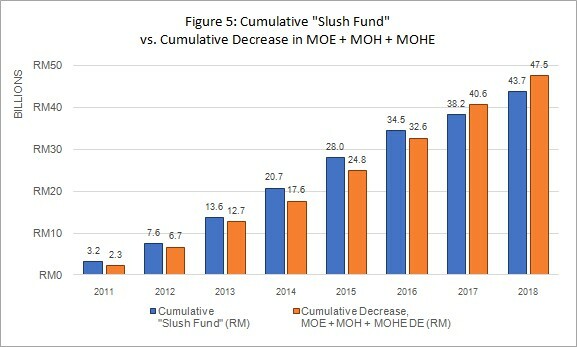 The amount of DE allocation given to the PMD must be cut significantly, , starting with the “slush funds”.